Q: How long does it take to experience Cypress Peak? A: Climbers typically reserve a timed ticket for one hour of climbing. Each climber proceeds at his or her pace and each level can require 15-20 minutes to complete. Upon completion of one level, a climber can climb on the same level or select another level, repeating the process as many times as they wish for the duration of their timed ticket. Q: Are reservations required at Adventure Park? A: It’s always best to reserve a time online (coming soon). Our ticketing system provides Park guests an easy way to reserve their check-in time. Groups of 10 or more should contact our Group Sales Office to make a special reservation. For more information, please contact groups@adventureparklubbock.com. The online reservation system means no long lines. Entry into Cypress Peak is smooth and easy! When you make your reservation, you will receive a confirmation email and a link to the waiver so that all members of your party can complete waivers before arriving at the Park. Q: What if my plans change and I need to cancel my reservation? A: We understand that plans sometimes change at the last minute. If you need to cancel your general admission adventure, you can do so 1 hour prior to scheduled reservation. When you do, a gift card will automatically be generated and emailed to you. This gift card can be used at Adventure Park at a later date. If you do not cancel your reservation before your scheduled arrival time, no gift card or reservation will be issued. Group reservations scheduled with our group sales office may be subject to other policies. Please ask your Adventure Park team member questions about group cancellation policies when making your reservation. Q: Can I schedule a Birthday Party at The Adventure Park? A: Absolutely! In fact, The Adventure Park has become the most popular birthday destination in Lubbock. Call our office to schedule a birthday party or visit our Party Booking page for more info. Q: Are group rates available for specialty groups, team building, and team development? A: Adventure Park is a magnet for outdoor-fun with kids, teens, and adults. Groups of 10 or more can reserve starting times with seasonally-available special rates. Local and visiting groups of students, scouts, youth groups, families, co-workers, sports teams, singles, conventioneers, and active adult tours climb in the Park. We also provide team bonding and team development programs for corporate clients, community organizations, students, teams, and clubs. Spaces fill up quickly. Call 806-793-PARK (7275) or email groups@adventureparklubbock.com <mailto:groups@adventureparklubbock.com> for reservations. Q: Is a ticket required to watch my friends or family members climb? A: Observers can observe on pathways and observation deck near the Cypress Peak entrance. Q: Are Annual Passes available? 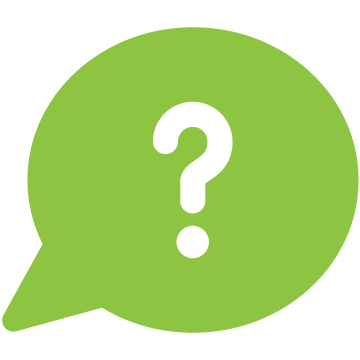 Q: Are Adventure Park gift certificates available? A: Gift certificates can be purchased at Adventure Park entrance for more information about gift certificates, contact our Sales Office 806-793-PARK (7275). Q: Is Cypress Peak safe? A: All climbers wear state-of-the-art harnesses and climbing equipment that meets the highest industry standards. Climbing equipment employs “double-clipped-on” technology designed to keep the climber continuously connected to a secure cable throughout their time on Cypress Peak. Climbers receive an equipment briefing and opportunities to practice before climbing. Course staff members monitor climbers while they are on the course. These monitors are nearby to offer encouragement, advice, or assistance as needed. Adventure Park meets all standards of the Association for Challenge Course Technology (ACCT). Q: Is The Adventure Park Difficult? A: The Adventure Park provides multiple levels to make it easy to choose a climb that provides the level of challenge you seek. Beginners develop their confidence and climbing skills on level 1 and 2. Intermediate climbers enjoy the challenge of level 3 and 4. Our most athletic climbers enjoy the challenge of our Black (5) level that allow you to reach heights 60 feet above the ground. Q: Do I have to be really fit to complete the trails? A: Most people who have an active lifestyle and are in good health should not have any difficulty completing many of the levels. Climbers proceed at their own pace and are welcome to take periodic breaks. Remember, climbers can choose within their comfort levels. Q: What happens if it rains or storms? A: When inclement weather arrives, The Adventure Park responds much like a golf course or a swimming pool facility. The Park remains open during rain, but all climbing is suspended in the event of thunder, lightning, or high winds. Q: What clothing should I wear? A: Wear well-fitting clothing that won’t hang loose or get tangled in cables or ropes. We advise tying back long hair and removing all jewelry. Sneakers or hiking shoes are recommended. Flip-flops, sandals and open-toed/heeled shoes are not acceptable. Imagine the harness. The full-body harness hits at your thighs, groin, waist, stomach, back, and shoulders. Now, double check that your clothing covers all of these points, especially your thighs and shoulders.Shorts that are to short can become uncomfortable if harness rubs. Q: What equipment is provided? A: A harness, climbing gear, and helmet are provided with the purchase of your climb. Q: Is there a height or weight limit for climbing in The Adventure Park? A: There is no height limit. Our weight limit is 300 pounds. Q: Is there an age limit for climbing at Cypress Peak? A: The youngest climbers at Cypress Peak are 5-years-old. Children who are 5-8 years old must climb with a paying adult (age 18+). Our more challenging levels may require a child to reach or step beyond his or her physical capability. We recommend children 5-8 years old climb on levels 1-4 for best experience. Q: Are private or group lessons available? A: All participants will receive an adequate equipment briefing and time to practice before climbing, so lessons are not required. Q: What is Cypress Peak like at night? A: At night, the course is lit by low-intensity lights. It’s an exciting evening activity for families or date night. Summer night climbs are an ideal way to beat the heat. Our Glow in the Park events are lit up with colored lights. Q: Are drinks available for purchase? A: Adventure Park Speedway provides a selection of drinks during most park operating hours. You can also visit Expedition Cafe’ for more drink and food options.